The submission deadline for Contributed Talk proposals at the PASC15 Conference has been extended to March 16, 2015. We look forward to receiving your submission for a Contributed Talk, or for a Poster presentation! We would be grateful if you could forward this communication to potential candidates in your professional circles. We also want to thank all those who responded to our Call for Participation with a Minisymposium contribution. We have received excellent submissions and we will be honored to host 124 minisymposium talks in our program. Finally, we would like to take this occasion to share with our friends and colleagues that Nobel Prize in Economics in 2011 Thomas Sargent will be leading the Public Lecture on Tuesday, June 2, 2015. 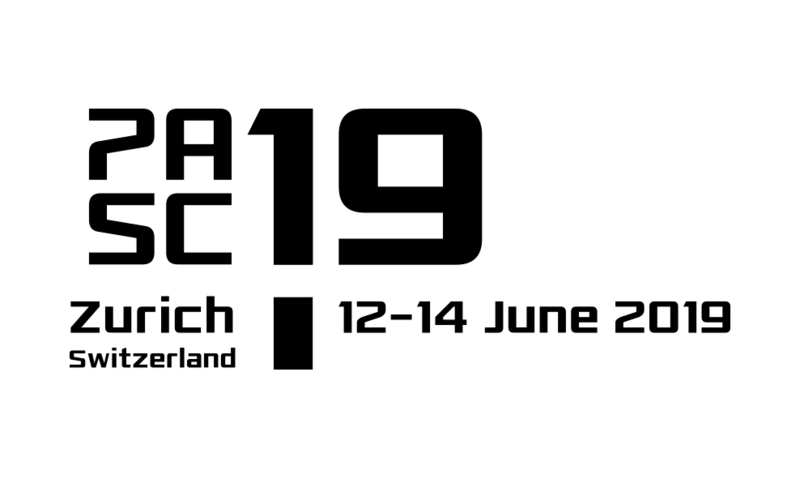 The Platform for Advanced Scientific Computing (PASC) is delighted to launch a Call for Participation to its next conference (PASC15) to be held from June 1 through 3, 2015 at the Swiss Federal Institute of Technology in Zurich, Switzerland. PASC15 Conference will offer four plenary sessions, one public lecture, 124 mini symposium talks, up to 24 contributed talks, one inter-PASC Networks discussion, one joint plenary session with the satellite conference Frontiers in Computational Physics, a poster session, and information stands.